We’re glad to announce that Pemica Inc. just became one of Honeywell Homes’ authorized dealers. PEMICA is now authorized to sell and export Honeywell Homes products into Latin America and the Caribbean from our Miami offices. 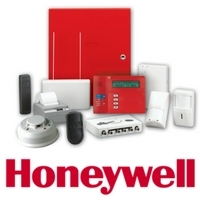 Honeywell Homes Products are intrusion alarm systems and its sensors, which are wire and wireless, as well all low voltage cable from genesis. Our employees were certified during scheduled training sessions by a Certified Honeywell Homes Instructor in Miami, FL. This is, without any doubt, a great step in the security market. Let’s keep the good news coming! !